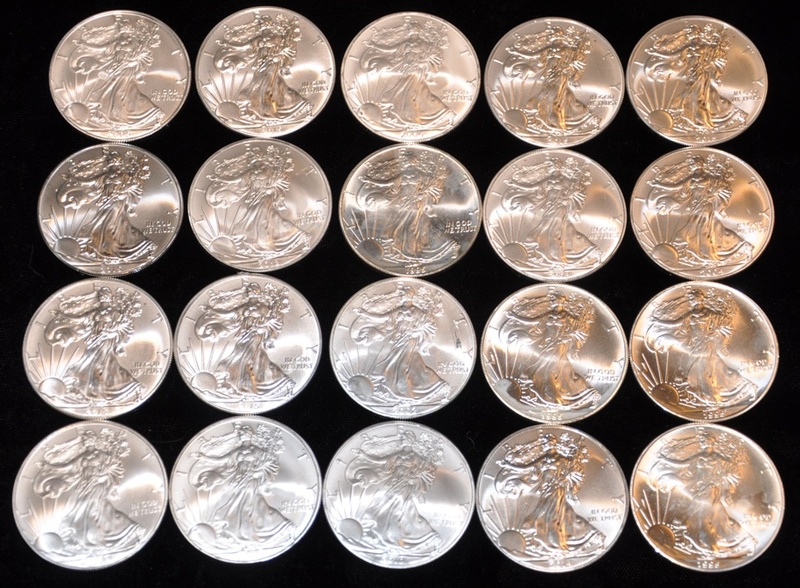 OFF QUALITY Random Date Silver Eagles - ON SALE! The Silver Eagle Coin Company is pleased to offer a limited number of OFF-QUALITY mixed date silver eagles at significant savings! We sell thousands of silver eagles each year and these coins were not quite up to our high quality standards. NOTE: All these coins are uncirculated but have minor scratches, nicks, tarnish, spots or blemishes. Many dealers would try to sell these as "perfectly fine" coins but we would rather wholesale them off cheap and keep our customers happy! Most of the coins will be dated 2017 and an occasional earlier date 1986-2016 will be included (dates our choice). These coins would be ideal for a bullion collector (since the coins still contain 1 ounce of pure silver) or a great way to pick up some silver eagles at a bargain price! Sorry - We are unable to honor requests for specific dates on this special offer. If buying multiple coins, we will try to mix the dates as much as possible.